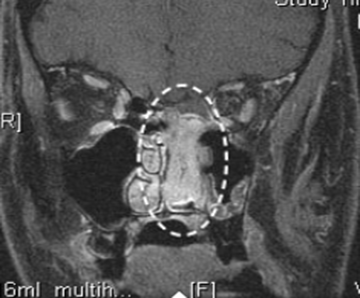 What are Malignant Sinonasal Tumors? 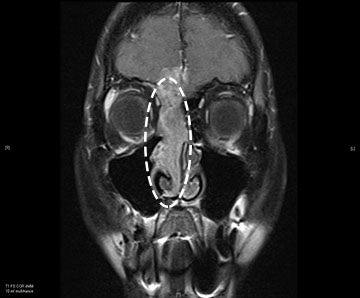 A malignant sinonasal tumor is a cancerous growth inside the nasal or sinus passages. These cancerous tumors can invade healthy tissue and spread to distant parts of the body. Malignant tumors can arise from any of the areas inside the nose or sinuses, including the lining, the blood vessels, the nerves, bone, and cartilage. If the tumor gets too large, it can affect your ability to breathe properly, as well as your sense of smell and vision. The symptoms of malignant sinonasal tumors depend on where the tumor is and what type of tumor it is. Nasal cavity: Symptoms may include a mucous discharge, crusting within the nose, nasal obstruction, and nosebleeds. 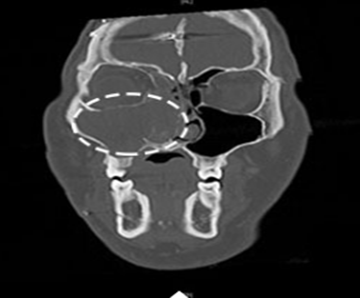 Maxillary sinus: The maxillary sinus is just below the eye; therefore, swelling in the cheek or just under the eye may be present. 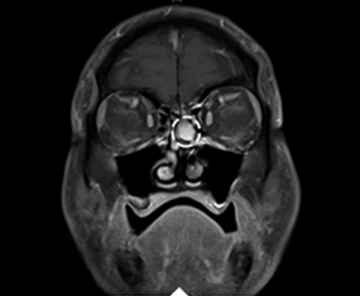 Frontal sinus: The frontal sinus is above the eye; therefore, swelling on the forehead above the eye may occur. 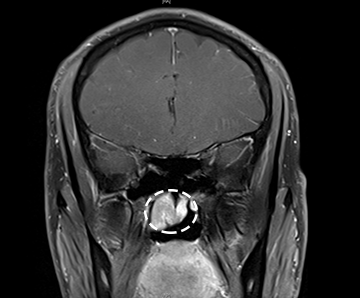 If the tumor is large enough, the eye may be pushed down and vision can be affected. 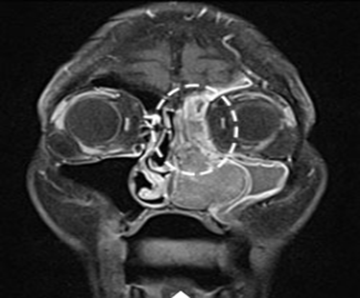 Ethmoid sinuses: The ethmoid sinuses are between the eyes, and a tumor here may push into the nasal cavity, causing a blockage. It may also push into the eye, displacing it from the eye socket, and cause double vision. Having one or more of these symptoms does not mean that you have a malignant sinonasal tumor. 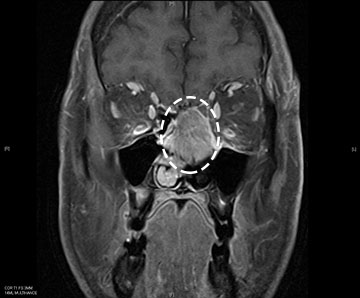 If you think you may have a malignant sinonasal tumor, call your doctor right away. 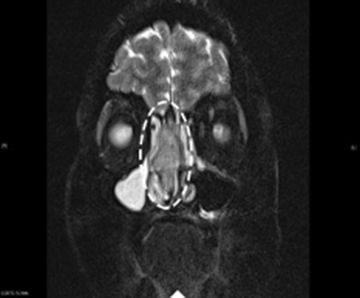 There is no known direct cause for malignant sinonasal tumors. However, there is an association between squamous cell cancer and cigarette smoking, which may play a role if the malignant tumor is a squamous cell cancer. Anything that increases your chance of getting a disease is called a risk factor. Having a risk factor does not mean that you will get malignant sinonasal cancer; not having risk factors does not mean that you will not get malignant sinonasal cancer. If you think you may be at risk, you should talk to your doctor. 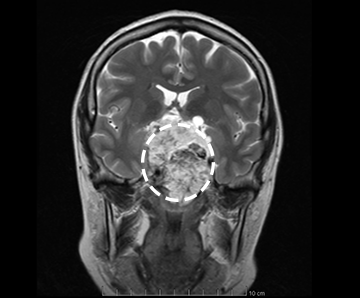 Most malignant sinonasal tumors will require surgery to remove the cancerous tissue. Some tumor surgery may be performed endoscopically. The term “endoscopic” refers to the use of small nasal telescopes that allow all of the surgery to be performed through the nostrils, without the need for any incisions on the face. Additional treatment for cancer may include radiation therapy, chemotherapy, or both.